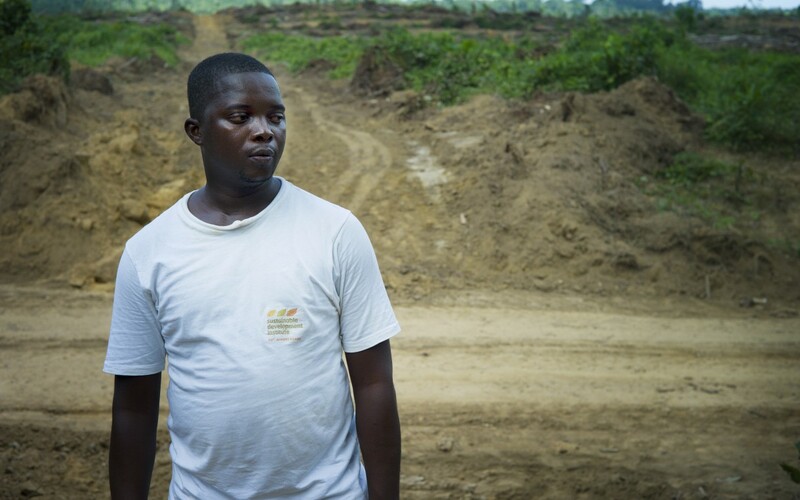 Daniel Krakue, who works for Social Entrepreneurs for Sustainable Development in Liberia, in a recently cleared part of the Butaw oil palm concession: “Nowadays we don’t have a specific month as to when the rain will start and when it will end. So that has caused serious problems as to how people will carry on their farming.” Photo by Anna Fawcus/Oxfam America. 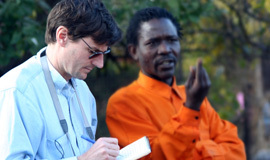 A changing climate threatens harvests from California to Liberia. How can we help? When I was in Liberia last month with a team of researchers, we spoke with farmers in some isolated villages about changing weather patterns, and unpredictable rains. It seemed like a local problem, one that few knew or cared about. When I got back to the US, I was suddenly more aware of all the extreme weather stories in the news here, like the horrible drought in California over the winter and the devastating tornadoes in the Midwest in April. Then the US government released the National Climate Assessment on May 7th, it is reporting that the negative effects of climate change are already hitting the US. It’s a problem for now, not the distant future. The world is a little smaller now, as climate change problems are here as well as in poor countries, where the most vulnerable people live. The farmers in Komonah, a small town in Liberia’s southern Sinoe county, told me they are accustomed to seeing precipitation from April to October. Lately, however, that schedule seems to be changing. “Now it rains to January or February,” one farmer told me. Then, he says that in 2009 the rains came early and the farmers weren’t ready. So they shifted their schedule for 2010. Unfortunately, the rains came at a completely different time, later than the previous year and closer to the normal time. Now the farmers in Sinoe County worry that they no longer know when to expect the rain, or when to plant. Part of this is due to the fact that Liberia’s forested regions are now under siege. Palm oil plantations are clearing the forests to expand their production, releasing stored carbon into the atmosphere, contributing to the greenhouse effect that is warming the oceans and changing the climate. The farmers I met with in Komonah are also facing a land crisis: A nearby oil palm plantation with ambitions to sell its crop to companies in the US, Europe and Asia is expanding, and they are concerned that they will be pushed off the forest lands they have used for centuries. And they are not just losing any land, it is extremely valuable forest land that they use for farming, lumber, hunting, and gathering wild fruits. 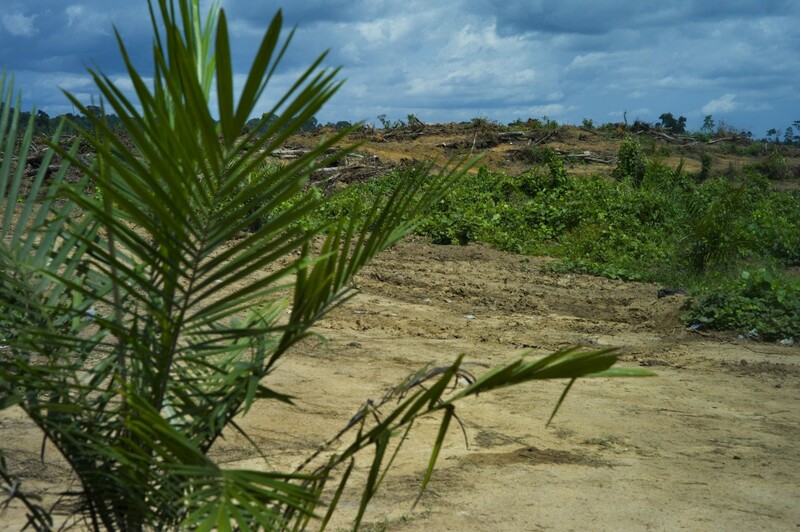 Part of an oil palm plantation in Sinoe County, Liberia, that has been recently cleared and is being replanted. Photo by Anna Fawcus/Oxfam America. Oxfam is calling attention to the way major food companies get ingredients like palm oil because it can contribute to climate change and make life more difficult for small-scale farmers like the ones I met in Komonah. This is a global problem, but there is a clear role we can all play to improve the situation: Call on companies like Kellogg and General Mills, two companies with among the worst record on climate change, to ensure their suppliers aren’t knocking down tropical forests and making climate change worse. You buy what these companies sell, so you have the power to compel them to act! Add your voice here. Tell Kellogg and General Mills to help stop climate change from making people hungry.